No membership is required, just walk into the pro shop, and they will take care of you. After golf, a party and prize-giving is normally held at one of three establishments at the entrance to the Laguna Resort (Toto’s Italian Restaurant & Piano Bar, Toto’s Pizzeria & Wine Bar, or JJ’S Irish Pub). You can’t help liking the Mulligan Golf Society’s events in Phuket with its cheerful adaptation to the island’s relaxed lifestyle. 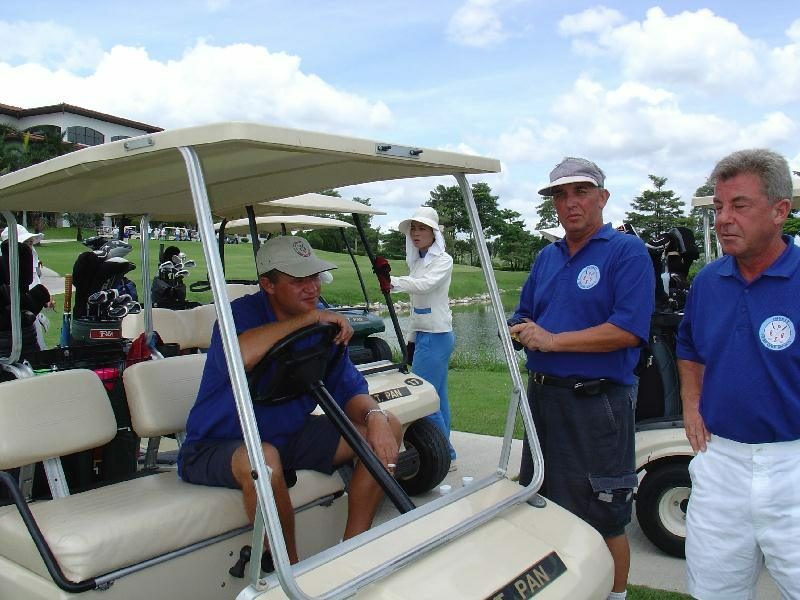 Over in Hua Hin, the Hua Hin Golf Society was formed in 1995. It was an idea amongst four expatriate residents in Hua Hin who happened to be friends and golf enthusiasts. The society has progressed to a membership of fifty players, some resident and some overseas. Tournaments are held every Tuesday throughout the year on one of the five courses that are within 30 km of Hua Hin, namely Royal Hua Hin, Palm Hills, Lake View, Springfield and Majestic Creek. In addition to these venues the Society also occasionally visits Milford, Cha Am Villa, and Sawang Resort. The format for the tournaments is either stroke play or stableford, in two flights. The winners are given awards at the end of each day’s play. There are usually between 12 and 30 competitors for each event, from up to 16 nationalities. For more information, contact Berny at Berny’s Inn, Wolfgang at Monta’s Garden Restaurant or any expat in Hua Hin who plays a little golf. The Butterfly Rock Golf Club was set up in April 2006 to cater for Hua Hin residents and long term visitors. It was decided at the outset that there would be only 60 members so that there would be a small manageable group of golfers who could enjoy the company of each other at events, and that the group would be called a Golf Club so that there would be no confusion with Hua Hin Golf Society. The club operates basically from the Butterfly Rock Pub in Soi Sarawat, commonly known as Soi Hotpot. The Club has its competitions on a Wednesday and play at various courses in the area and occasionally outside the area. Every week there is a different format including qualifying formats for handicapping purposes and fun team games. It also has 2 roll ups each week at Lake View on Mondays and Palm Hills on Fridays. Guests are accepted, but to play in the competition or roll up, you must produce a valid handicap certificate. If you do not have a handicap certificate you may play but not in the competition. Apparently, in Chiang Mai there is a group that meets 5 days a week for golf, and you just to show up to play. I am not aware of any name for the group. If anyone has any information on it, or indeed any other golfing societies in Thailand, please email me at my Thailand golf vacation.